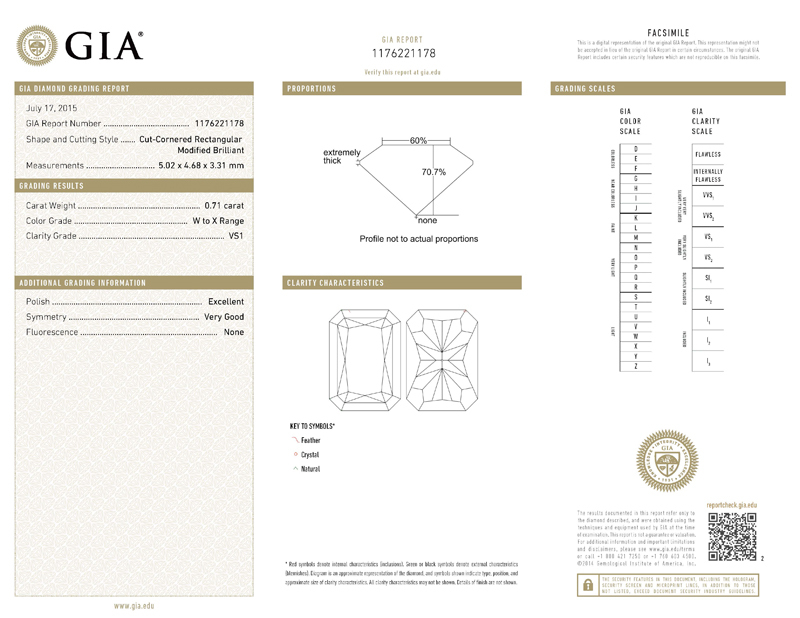 You have to love a strong, broad rectangular shape. 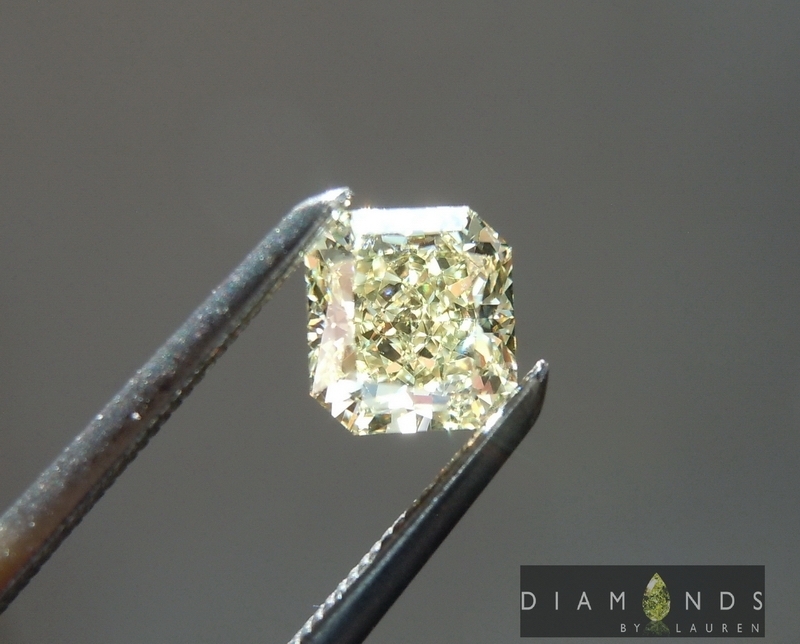 This diamond has a lovely cut for color and sparkle. 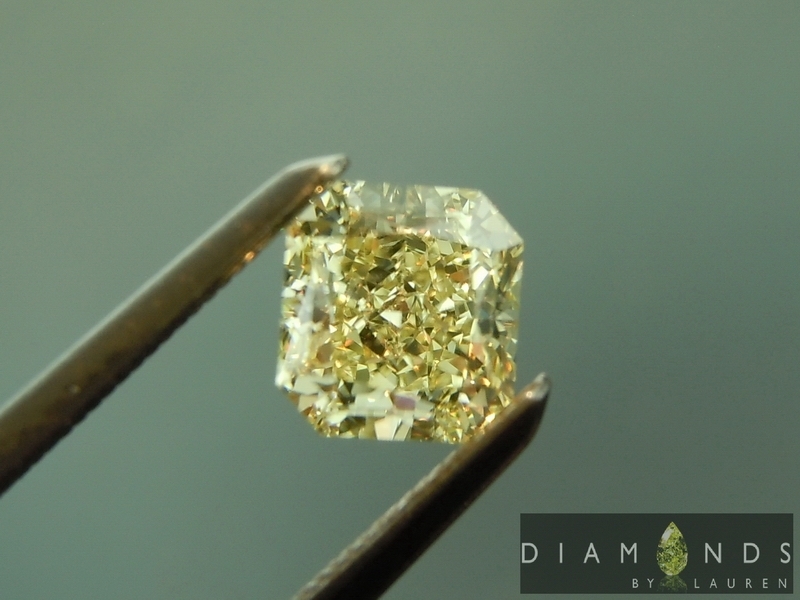 The color is a light lemon yellow. 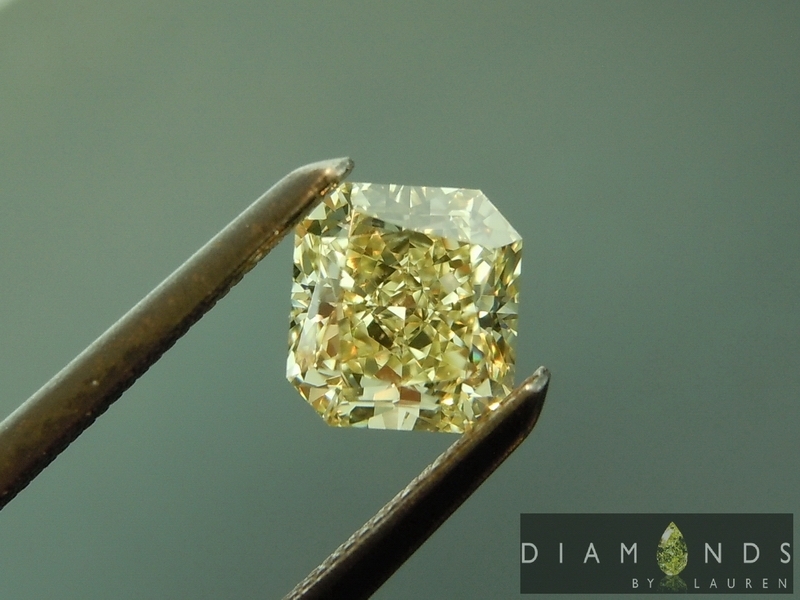 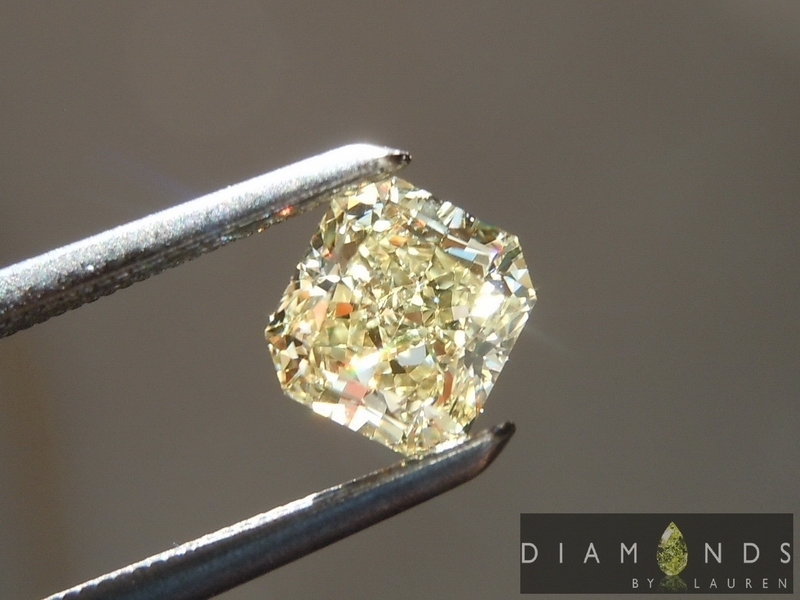 Due to the way the diamond market works, light yellow diamonds like this one represent some of the strongest value you can find on clean, well cut diamonds.